George Matheson, born in 1842, was a Scottish minister and hymn writer. In his teenage years Matheson was diagnosed with a disease that would render him blind by age 20. However, he was undeterred by this potential setback. Determined to get an education, Matheson entered the University of Glasgow and graduated with honors. While engaged to be married, his fiancée returned the engagement ring with this note: “I cannot see my way clear to go through life bound by the chains of marriage to a blind man.” Heart-broken by her rejection, Matheson never married. The hurt of his unrequited love was something from which he never completely recovered. When his sister married, the ceremony painfully reminded George of his lost love. As always, he turned to God’s love for comfort and consolation. So, on June 6, 1882, George Matheson penned these words that Albert L. Peace later set to music. God’s love, as George Matheson learned, is unconditional. Unfaltering. Unchanging. In fact, God doesn’t just love. The Bible says that “God is love.” He is the epitome of love. The essence of love. The image of love. Love is who He is. 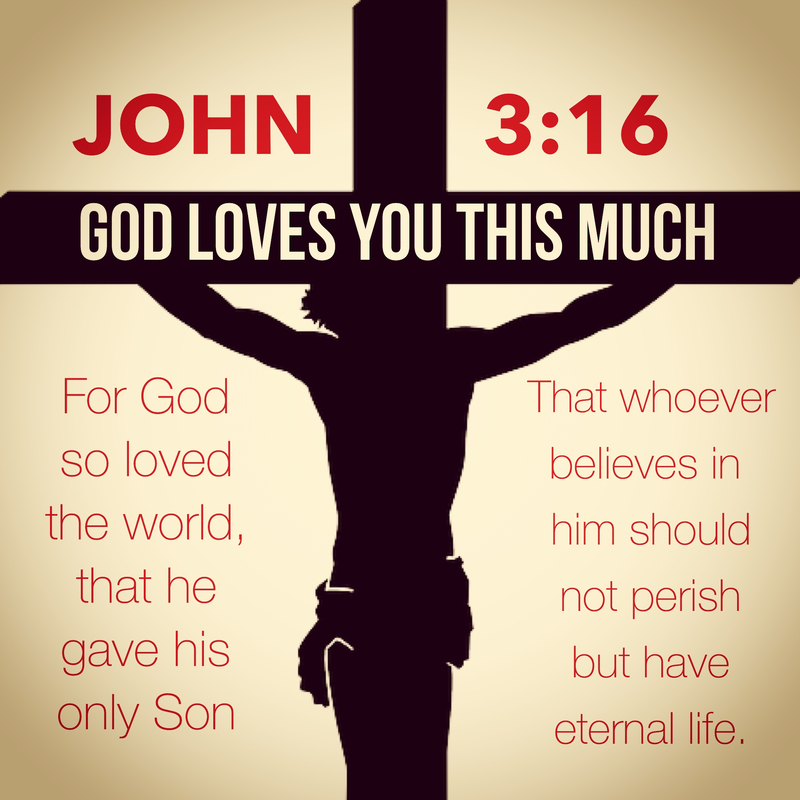 God’s love was never more evident than on the Friday of Jesus’ crucifixion. In that selfless, voluntarily act of humiliation we witness the characteristics of God’s love. God’s love is a giving love. A sacrificial love. A forgiving love. And a boundless love. Jesus, the God-man, modeled it. Taught it. Lived it. And died to prove it. On the eve of His betrayal, trial and crucifixion, Jesus said, “Greater love has no one than this, than to lay down one’s life for his friends.” However, Jesus died not only for his friends, but for his enemies. The apostle Paul expressed it this way. That’s us! Weak. Blind. Ungodly. Sinners. Totally unworthy of God’s love. Yet, fully a recipient of Divine love’s gracious benefits and blessings. We don’t deserve it. We can’t earn it. And we’ll never understand it. Not fully. Yet, God won’t let go! Of you. Or me. His love is not fickle. It’s not fading. It’s not a Valentine’s Day infatuation. It’s not based on some external quality we possess. Our looks don’t matter to Him. Our riches are immaterial. Our position is meaningless. Our power is inconsequential. God doesn’t need any of those things from us. He doesn’t care about them. But he does care about you. Your soul. Your life. Your heart. That lonely, solitary soul hanging on Calvary’s cross proves it. Beyond the shadow of a doubt. So, when you attend worship on Sunday and take communion, know this: God loves YOU! Completely. Totally. Absolutely. As you eat and drink, remember Jesus. His life. Death. Burial. Resurrection. And remember this. God won’t let go of you! He loves you! Well written, brother. Touched my heart with gratefulness for the gift from our Lord. Such a touching story of love ❤️ and brokenness and the love of God strengthening!